How much of the sky did WISE see? 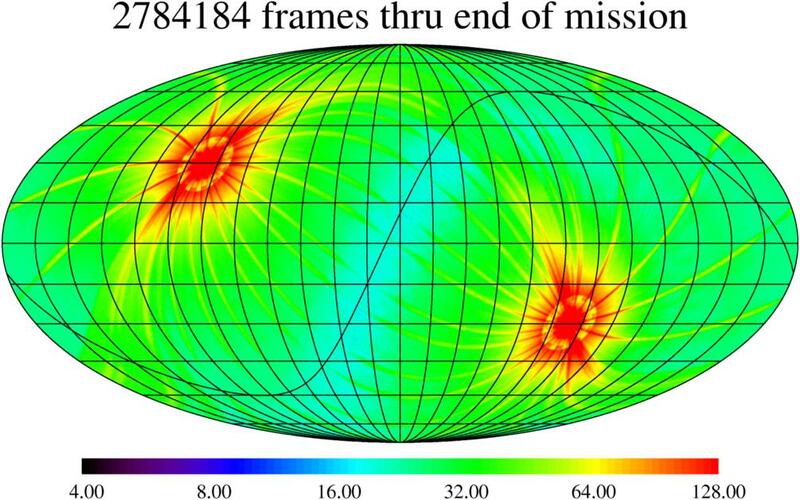 The image above shows the overall coverage of the WISE all-sky survey, as measured by successfully processed frames. As of July 17, 2010 WISE had completed its first coverage of the entire sky, and on February 1, 2011 the survey came to an end. The scale on the bottom shows the density of the coverage. The most red portions indicate heavy coverage whereas blue portions indicate a lighter coverage. The poles received the most coverage because WISE orbits Earth around the poles, and scanned out strips of sky as Earth moved around the Sun. The green-yellow lines between the poles show areas that received extra coverage because of the mission's strategy to avoid the Moon. When the Moon was in WISE's field of view, about twice every month, the space telescope captured the region it blocked, by first moving ahead of the Moon and then behind it. This resulted in overlapped coverage for certain slices of sky. 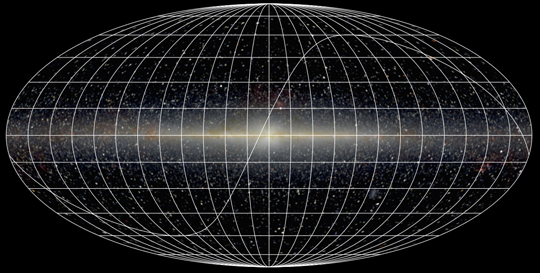 The image is a map of the sky in a Mollweide projection centered on the Milky Way Galaxy. See the image of the sky below from COBE/DIRBE for reference.